Kenneth C. (Casey) Otis focuses a large amount of his practice on intellectual property issues including trademarks and copyrights. Mr. Otis is the trademark counsel to the ECHL, a long-established and respected minor league hockey organization with approximately thirty teams throughout the United States. He advises the league and its member teams on all areas of trademark and copyright protections. He prosecutes and defends trademarks and licenses and practices in front of the Trademark Trial and Appeal Board. He has successfully negotiated numerous licensing and co-existence agreements. 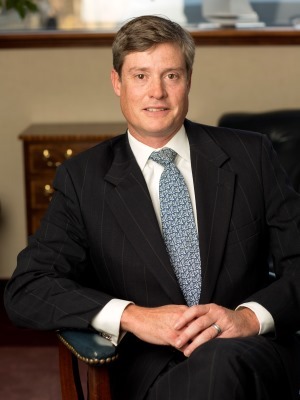 Mr. Otis also handles his clients’ commercial litigation and corporate transactions, including representing the owner of one of the largest commercial shopping centers in Winston-Salem. Mr. Otis represents local beer brewers, handling their trademark, distribution and licensing agreements. He is knowledgeable in state franchising and distribution laws for brewers and distillers. Mr. Otis attended Davidson College where he received his B.A. in Political Science. After graduating from Davidson, Mr. Otis spent three years in Washington, D.C. as an aide to Senator Connie Mack.